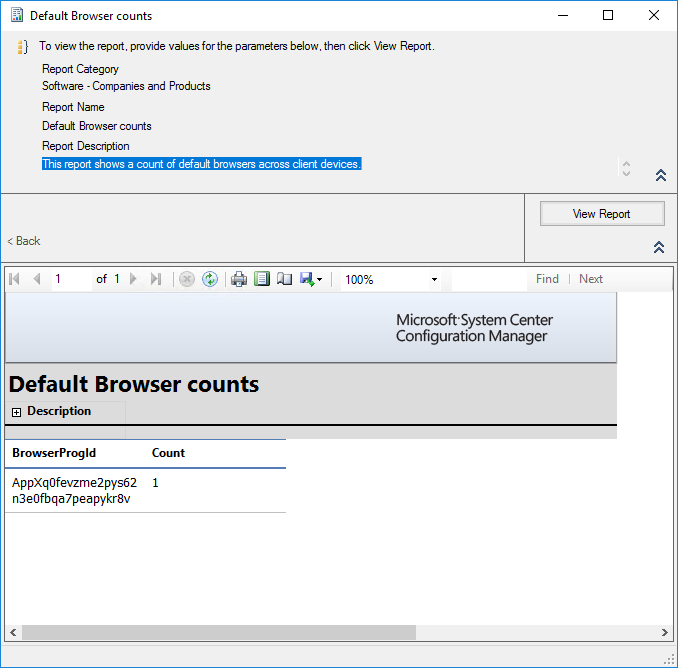 Another small addition to Configuration Manager Technical Preview 1802 is a report which lists the various web browsers out there in your client estate which are set as default. Note the known issue listed in the official documents which states that you only see a count of browsers and not the browser code. I had this and you simply need to right click the report and Edit. In here you can then find the data source, right click and edit the query. You need to swap out the select statement for this one. I expect some progression on this one by the next tech preview release and hopefully in the future we can perhaps target the report at a specific collection.